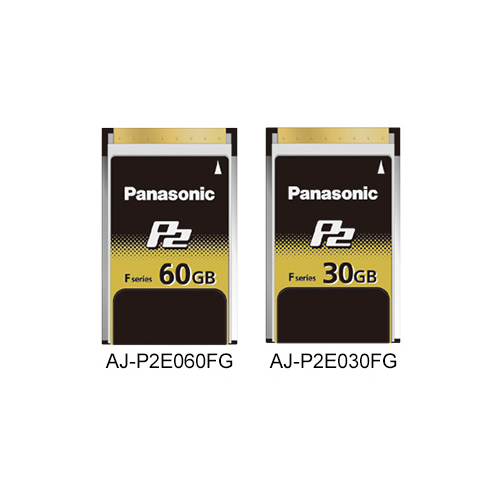 With four SD cards packaged into one, the P2 card offers four times the data storage capacity and four times the transfer speed of the SD card. Up to 64GB P2 card is available and it achieves a long recording time. Highly reliable, solid-state memory resists shock, vibration, and temperature changes. An individual serial number, bar code, and write-protect switch make easy to manage operations. *1: To use P2 card, P2 driver must be installed in Windows PC or Mac. Windows 2000 PC card slot cannot be used. 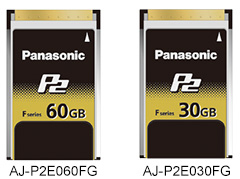 Please read Panasonic web site "Support and Downloading Information". 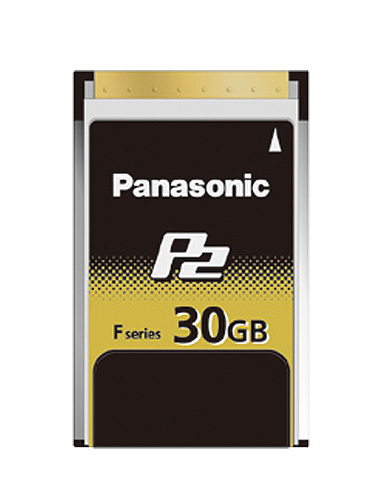 *3: 1.2 Gbps is maximum transfer speed when using AU-XPD1 or AJ-PCD30. Transfer speed is subject to be changed depended on system configuration.